"Jade's so desperate to provide for her chronically ill sister that she decides to sell herself. Her first "client" locks her in a motel room with Malach, the Crystal Warrior destined to be her life-mate. 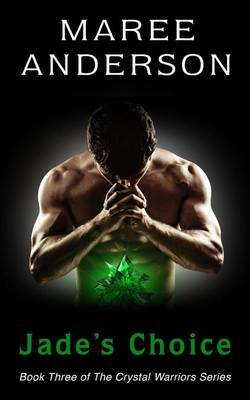 Malach is a complex, compelling man, and he soon captures Jade's heart. But... read full description below. A talented young artist whose dreams have been crushed... A crystal warrior who'd rather die than be condemned again.... Jade's so desperate to provide for her chronically ill sister that she decides to sell herself. Her first client locks her in a motel room with Malach, the Crystal Warrior destined to be her life-mate. Malach is a complex, compelling man, and he soon captures Jade's heart. But Malach has a dark secret: he plans to kill himself rather than risk being imprisoned in his cursed crystal a third time. And saving him could be a losing battle... because he's still in love with the woman who refused to bond with him decades ago. Maree Anderson writes paranormal romance, speculative fiction romance, fantasy, and young adult books. She lives in beautiful New Zealand, home to a number of hobbits and elves. She's the mother of two teenagers, and she's partial to chocolate, coffee, Ceroc dancing and reading... not necessarily in that order. Jade's Choice is the third book in her Crystal Warriors paranormal romance series. Other books in the series include: The Crystal Warrior, Ruby's Dream, and Opal's Wish.